£50,302.82 yes, £50,302.82! That’s how much Klara Sudbury has raised for charity during her time as mayor! I always do as much as I can to support local causes but never in my wildest dreams could I top this one. 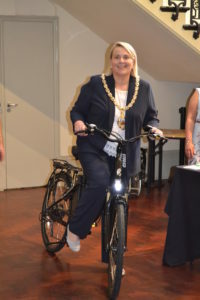 It’s an absolutely amazing achievement, made even more so by the determination and drive of one of the most inspirational women I’ve ever met, the former Mayor of Cheltenham and current Borough and County Councillor, Klara Sudbury. From mature student at Oxford reading Politics, Philosophy and Economics to a pillar of the local community who is passionate about getting more women into politics, the last 13 years for Klara Sudbury as Councillor and Mayor have been very, very busy! 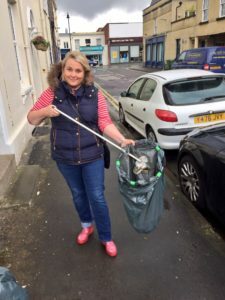 After she moved back to Cheltenham, Klara started a residents association for 100-200 members but with sending out newsletters and all the issues to contend with, she found she was doing the jobs you would expect your local councillors to do- so decided to become one! Klara firmly believes in improving the local area and that “people should have ownership of their own communities.” She has found it really rewarding to see positive change in her council wards and seeing residents happy when improvements have been made. I asked how she copes with anyone who is unhappy with the status quo because I think that trying to initiate change can sometimes feel as if you are beating your head against a brick wall. However as Klara says, she was once a frustrated resident herself so when members of her community raise issues, she can really empathise with people and put herself firmly in their shoes. “Being a councillor is very much what you make it” and from all accounts, Klara works hard to achieve as much as she can and will pull out all the stops to get the best possible results. 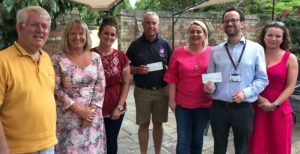 Klara is very much a hands-on ‘doer’ and this is reflected in the absolutely outstanding achievement this year of raising £50,302.82 for her very worthy Mayoral charities, The Hollie Gazzard Trust and The Cheltenham and Gloucester Hospitals Charity. Setting herself the challenge of raising £50,000 through the Mayor’s Charity Appeal in the run up to a big ‘5’ related birthday last year, Klara she knew she’d set the bar higher than ever before but she has absolutely nailed this target through the organisation of an incredible 13 events! 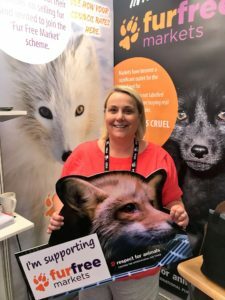 And if this wasn’t impressive enough, Klara is still working hard to initiate change and is currently campaigning for Cheltenham markets to be fur free. Please do sign this petition to show your support. Klara is also urging residents, visitors and businesses to find out more and give their views to Gloucestershire County Council about the road layout changes at Boots Corner that are currently being trialled. You can read more by clicking on this link. 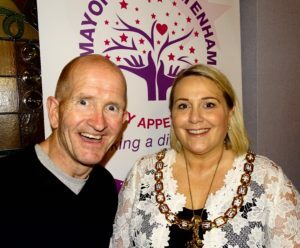 Klara describes her time as Mayor as “hands down the best year of her life”, is proud to have been able “to do good for others” and that she feels it has really “helped her re-connect with Cheltenham” and all the fabulousness of the town. She has “met some really amazing people” and would do it all again in an absolute heartbeat if given the opportunity. I asked her what the downsides to being Mayor were and the only thing she could think of was wearing suit jackets in hot weather. I thought maybe wearing a 2.2 Kilo chain may be a bit of a trial but apparently there are a few top-secret tips to help with that. There’s also a very beautiful, alternate silver pendent for special occasions, which is just a tad lighter! Klara’s genuine commitment to the people she represents and the worthy causes she supports is beyond inspirational. You never know I might look into this politics thing myself- watch this space!